A Health Careers Learning Hub will open the door to a world-wide network of exciting new curriculum and resources all delivered at times that suit the student – their work and their other commitments – our tutorials feature leading educators and experts from around the world and are available at convenient times across different time zones. At a Health Careers Learning Hub students are able to utilise the latest resources, participate in tutorials or join a group discussion about curriculum or a particular area of study, or join other students from around the world to complete a group assignment. Students will benefit from the knowledge and commitment of qualified and experienced educators and clinicians who understand nursing. Health Careers accredited blended education programs are developed to the meet the AQF (Australian Qualifications Framework). Vocational programs through to Postgraduate qualifications are available from leading Australian Institutes. At Health Careers Learning Hubs, students can use state-of-the-art facilities to study in a quiet environment, or take part in group learning and discussions, join workshops and editorials, and participate in Webinars, forums or hosted panels led by leading experts and tutors that are available at flexible timings. Undertake research via Health Careers Learning Hub and eResources sourced from around the world. Join workshops and editorials or participate in group learning and discussions delivered by speakers from industry. Nurses who have completed Postgraduate nursing may study for the Postgraduate Diploma in nursing in Australia with IHM or the Master of Nursing with another university. We invite partners who are committed to promote lifelong professional learning through an investment in the setup of Health Careers Learning Hub in your locality/country. Health Careers will partner with you and provide the marketing and backbone infrastructure, as also the curriculum, courseware and materials to run the training courses. There could be a provision made for jointly delivered qualifications with the appropriate co-branding in place. Partners can also take part in training programs that are delivered by health sector industry experts and academics from Australia, and will get opportunities to undertake train-the-trainer programs offered by Health Careers. They will be able to access customised programs that suit local needs and regulations. The Health Careers Learning Hub offers Nursing programs that are comprehensive and well-structured, and have current relevance in the medical world. A wide range of Continued Professional Development courses that help you to keep up with emerging trends in the healthcare landscape. 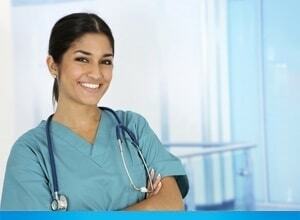 These professional courses provide an entry to the Health and Community Services sector in Australia and overseas. The Health Careers Learning Hub offers Certificate Courses that are comprehensive and well-structured, and have current relevance in the medical world.